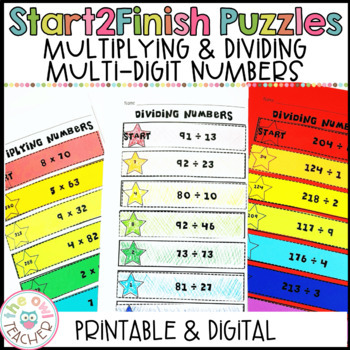 Help your students practice the multiplication and division of large multi-digit numbers with these start 2 finish puzzles! 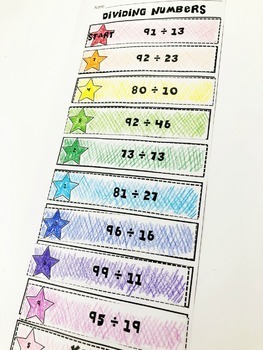 Your students will be engaged and able to self-check their answers when they complete this fun math center. 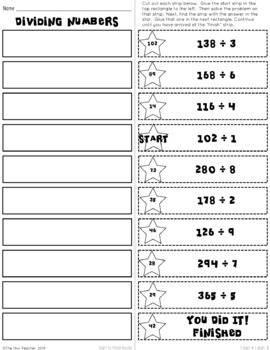 Because these activities are self-checking, students can work on them independently or in centers. 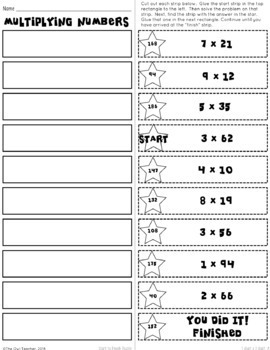 They are also great for small group work or homework. Your students will love these start 2 finish puzzles! If you see ANYTHING that needs modifying, or if you have any questions, please contact me via the Q&A before leaving negative feedback. I take my product creation and your satisfaction very seriously! Thanks! It's very important to me that you provide feedback so that I may improve and create products you will use and love! Please consider leaving detailed feedback. Additionally, each time you provide feedback, you earn TpT credits. These can be taken off purchases so you can get items free!